As we usher in the month of July, we have seen a dramatic and big shift in the country’s governance. Some call it a new beginning, some call it an indication of people power and for people like me in the environmental NGO sector, I remain quite unsure. The change in our government may potentially change the environmental landscape in the country. For the better or worse, we are unsure however of course, fingers crossed, sustainable development can be further emphasized all across the government sectors. 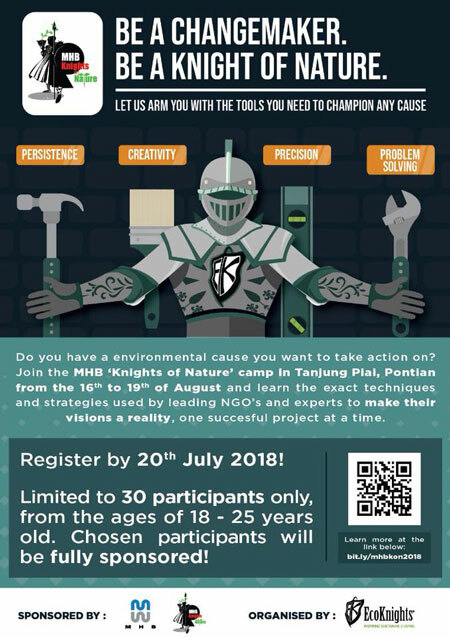 It’s a new dawn, a new day and for EcoKnights, the government of the day may have change, there is still a lot more to address, now more so than ever, to advance and accelerate the implementation and operationalization of the Sustainable Development Goals, and build sustainable businesses, entrepreneurs and leaders in the country. As we brave forward, our programs and activities have intensified and progressed in Q2. We have several social responsibility programs and campaigns lined up in partnership with the country’s shakers and movers. Anugerah Hijau, our flagship environmental education program is focused on building the capacities of the young finalists in greening their schools and reducing the school’s environmental impact on city rivers. 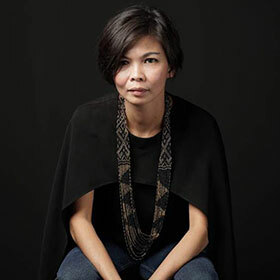 As I type this, the Knights are also busy curating the programs, activities and film screenings for the international Kuala Lumpur Eco Film Festival (KLEFF). Meanwhile, our 2017 Impact Report is currently in the final process of being published. Have a great July and let us all play a positive and constructive role in advancing sustainable living for a better Malaysia. 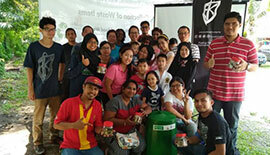 The first phase of the Selangor Garbage to Garden (G2G) Programme 2018 ended its fifth workshop at Lake Edge Residencies. Over 100 participants joined the workshops for training and were provided compost bins to practise composting as part of their lifestyle. Read more on the next few workshops conducted for G2G. From the 16th to the 18th of May 2018, EcoKnights was invited to conduct a waste assessment survey on two islands, Pulau Sibu and Pulau Tinggi located on the east coast of Johor. 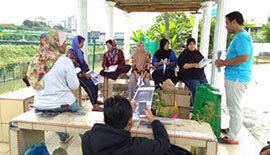 The waste assessment was conducted under the Community Understanding and Management of Dugong and Seagrass Resources in Johor, Malaysia (MY3) project. 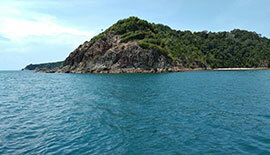 Read more on the waste assessment done on the two islands. From June until August, EcoKnights is collaborating with Edaran Tan Chong Motor for the Nissan Nurtures Nature Campaign. The first campaign was launched simultaneously at Bayan Lepas (Penang) and Batu Pahat (Johor) from 23rd – 24th June. 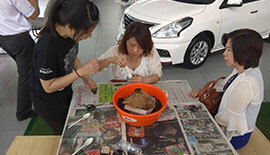 Two activities were conducted in the campaign – EcoTalk and Herb Plantation. Click here to read more about the June campaign. Rain and shine didn’t stop the second phase of Project H20 under the collaboration of EcoKnights, Aveda, Build for Tomorrow and Allianz on 23rd June 2018. With the help of 7 volunteers, the project successfully improved the distribution pipes scattered around the village grounds at Kampung Orang Asal Air Kuning by filling them with concrete to strengthen them. Check out the Project H20 Phase 2 here. Enhanced critical thinking, problem solving and team working abilities in providing sustainable solutions to communities. Development of leadership skills and talent through camp team learning and experiences. 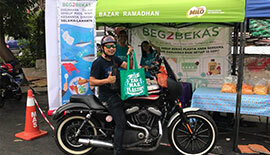 In conjunction with Ramadhan month, the Department of Irrigation and Drainage (JPS), ERE Consultant Group, Malaysian Agriculture Settlement (MAS) and EcoKnights together organized a campaign called Beg2Bekas, aimed to reduce single-plastic usage throughout the Ramadhan Bazar. Read more on the 14-day campaign at Bazaar Jalan Raja Uda, Kampung Baru. On 27th May 2018, the first community workshop of Starbucks Malaysia’s Green Outreach Programme was completed with success at Rumah Panjang Taman Ikan Emas. This was the first community workshop after the launching of the community edible garden, hence serving as an opportunity to teach them in making organic fertilizer from their daily food and garden wastes. The composting workshop can be read more here. Click here to watch the video interview with EcoKnights’ President, Yasmin Rasyid on sharing her points of view on the various challenges faced by communities in adopting a green lifestyle. Find out what our previous intern, Syazwan, has to say about her experience in our internship programme. Ramadhan is a special month in the Islamic calendar. It is not only about the fasting month, but it is also a great opportunity for everyone to be a better person because as a Muslim, we believe that various rewards are offered by the Almighty Allah in this glorious month. That’s why Ramadhan is familiar to be called as Madrasah (school) Ramadhan because it is a period for ourselves to learn on how to be a better person again. As a Muslim, we are supposed to take a good care of this planet and it is our responsibility to ensure that the resources and environment are used in a sustainable manner.